Tracey has been in the business for more years than she would like to admit to, which puts her in an envied position of knowing most landlords and operators at the very highest level. Throughout her 30 plus years in the industry she has advised on a majority of the UK’s most highly thought of leisure locations, with London being our heartland. 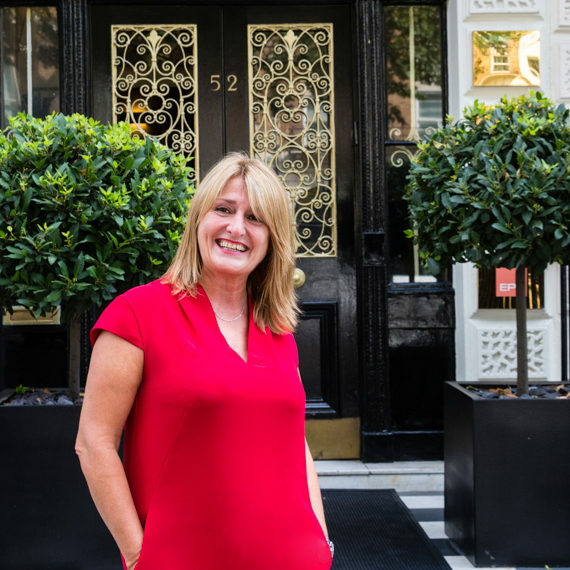 Tracey has been one of the major reasons for F&B being considered such an important element within schemes and the ‘beating heart ‘ of most London estates. This is reflected by her position as retained leisure adviser to many of the UK’s biggest developers and London Estates. Her relationship with high profile chefs and quality operators, the long established ones and the movers and shakers, is second to none, many of which wouldn’t move anywhere in the London market without sounding her out first. Anyone who’s anyone knows her, which makes moving across a room with her at an industry event an extremely long process! As head of Davis Coffer Lyons’ Development and London Estate Leasing Team, Tracey’s role is one of an ambassador for her clients. It extends to advising on large portfolios or schemes and ensuring the very best tenant mix is achieved by providing the very best advice. Placemaking is second nature to Tracey and her team and has been for years – long before the rest of the industry woke up to it. It’s in the teams DNA, which they apply to any one project, which has certainly driven value, be it financially or through amenity, for our clients over the years. We advise on the whole spectrum of schemes from the traditional, to the overt luxury, to the outlandishly whacky – we always rise to a challenge. Tracey has a number of passions away from the office including animals, with a small menagerie at home; three fabulous children providing daily challenges, flashes of major inspiration and laughter, and an equally fabulous husband. Her only well attended evening class was one on wine appreciation, which she still follows diligently!